This entry was posted in 1-4 Offense and tagged 1-4 basketball, argentina basketball, coaching basketball on April 16, 2014 by admin. This entry was posted in 1-4 Offense, Quick Hitters and tagged 1-4 basketball, basketball offense, basketball quick hitter, coaching basketball on April 13, 2014 by admin. This entry was posted in 1-4 Offense, Offense and tagged 1-4 basketball on April 12, 2014 by admin. This entry was posted in 1-4 Offense, Offense and tagged 1-4 basketball, 1-4 basketball offense, 1-4 high offense, basketball offense on March 25, 2014 by admin. This entry was posted in 1-4 Offense, Offense and tagged 1-4 basketball, 1-4 basketball offense, 1-4 high basketball, 1-4 high offense, basketball offense on March 25, 2014 by admin. This entry was posted in 1-4 Offense, Offense and tagged 1-4 basketball, 1-4 basketball offense, 1-4 high, 1-4 high basketball, 1-4 high offense, basketball offense on March 25, 2014 by admin. This entry was posted in 1-4 Offense, Offense and tagged 1-4 basketball, 1-4 high offense, 1-4 offense, basketball offense on March 25, 2014 by admin. This entry was posted in 1-4 Offense, Offense and tagged 1-4 basketball, 1-4 high, 1-4 offense, basketball offense on March 25, 2014 by admin. 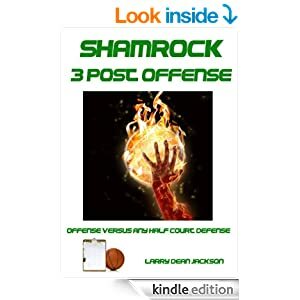 This entry was posted in 1-4 Offense, Offense, Quick Hitters and tagged 1-4 basketball, 1-4 high, 1-4 offense, basketball offense, quick hitter on March 25, 2014 by admin.